Firefighters battle a blaze at the Salvation Army Camp on November 10, 2018 in Malibu, California. The blaze is now one of the largest on record to burn in Los Angeles County. 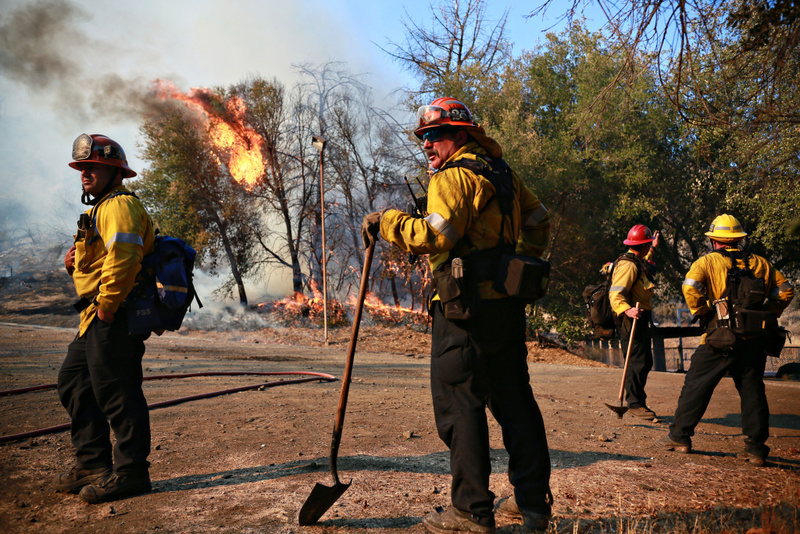 The wildfire is about 47 percent contained and burned several hundred more acres as firefighters entered their seventh day contending with the blaze. Last night, Malibu residents gathered last night at Santa Monica High School to get the latest on the Woolsey Fire and plans for repopulation. Go to Laist.com for the latest on the Woolsey Fire.